The Agony is a 24-hour bike-a-thon to raise funds for Christian Encounter Ministries. 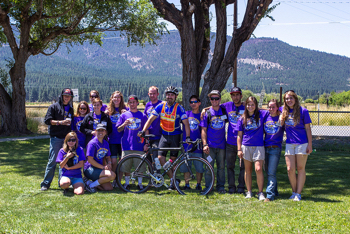 The ride is normally held the last Friday and Saturday of July in the Sierra Valley 25 miles north of Truckee, California. Agony 2019 is on its way! 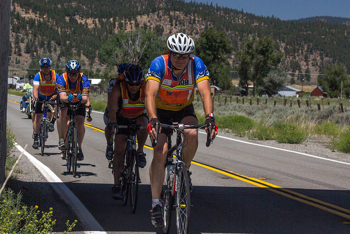 Join us July 26th and 27th for the 37th annual Agony ride. Christian Encounter Ministries is a domestic mission organization with the unique purpose of discipling and counseling troubled young people. These young people come to CEM with major damage from families, society, and/or their own poor choices. As a domestic mission, we are dependent on the loving generosity of mission-minded ministry partners. 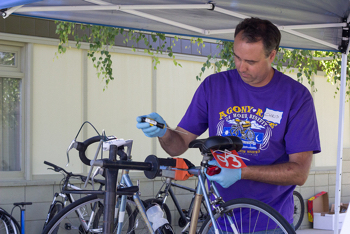 Our annual Agony Ride is an opportunity for our partners to participate in this vital mission. Some of our staff and approximately ninety other riders attempt to push their limits by riding as far as they can in 24 hours. The Agony has become more than just a personal challenge; it now stands as a pointed demonstration of Christ's love for our students as well as a witness for Christ in the communities of the Sierra Valley. As a Rider, you will join others with a wide range of biking abilities but a single purpose: to help struggling young people. The Agony ride is a personal challenge. It’s a time of good fellowship, lots of fun, and a chance to go to bat for someone else! Sponsorship is the core of the Agony ride. Through Agony sponsorship, you become a part of a rider's team, making a difference in our society and in Christ's kingdom. As a Sagger (SAG = Support and Gear), you will join approximately 200 others to support the riders throughout the event. We have a wide range of needs that require different interests and abilities.